within the home is commonly referred to as a man cave. The space got this name as the basement is the primary area within the home where guys are given complete control over the design and décor. Man cave rooms serve several purposes and allow men to have creative freedom over their own space while allowing their wives, girlfriends, or significant others to have control over how the rest of the home is decorated. Guys also do not necessarily have to worry about the level of cleanliness in their man caves since it is their own personal space. 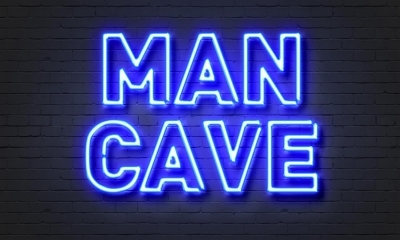 Man caves allow you to get together with your other male friends, enjoy hobbies, or spend some time alone doing what you want. Most guys have a “no females” rule about their man caves, though some men are a little more flexible and may allow some females to visit periodically, like to watch the Super Bowl or some other sporting event, together with a group of friends. Designing the ultimate man cave does require some planning and preparations. One of the biggest mistakes you can make is to not have a plan. Your plan is essential to developing your budget for your project and ensures you keep costs under control. Ultimate Video Game Room – The man cave is designed around the types of video games you enjoy playing and should include easy access to all of your gaming consoles and games. 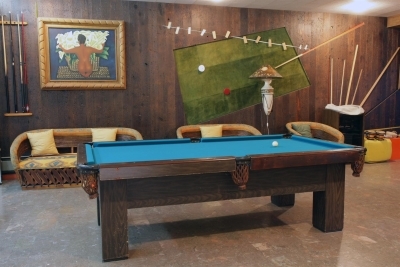 Ultimate Game Room – This theme is for guys that enjoy playing pool, poker, darts, or other non-video games. Ultimate Sports Fan Room – For avid sports fans, this theme includes decorating the room in your favorite teams’ colors, hanging sports-related pictures, displaying your own sports trophies, and so on. Ultimate Movie Room – With this themed design you will want a top-of-the-line surround sound system to make it feel like you are at the movies, while you enjoy your favorite films. TIP: It is perfectly acceptable to incorporate multiple themes into your man cave design if you have different interests. It is helpful to sketch out the floor plan and where you want to place items in your man cave to fully develop man cave ideas. Once you have your rough design, the next step is to determine what type of work is needed to convert the space. 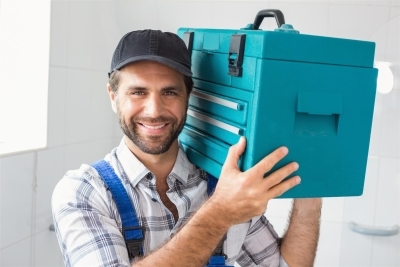 Now that you have a rough design of your man cave, you need to start developing your project budget. Measure the basement’s dimensions—length, width, and height. Make a list of what materials you will need for the conversion process, such as drywall, paint, and flooring. Using the measurements, estimate the quality of materials required for the project. TIP: It is beneficial to have a cushion in your budget and overestimate project costs about 15%, as there are always miscellaneous materials you will forget about initially. 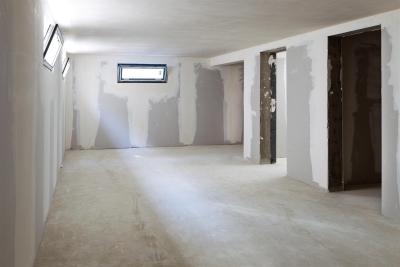 If you are using contractors to do some or all of the basement conversion work, it is at this step you would start obtaining quotes and deciding which contractors you are going to hire. You would use the contractors’ quotes, along with any materials costs for work you were doing yourself, to estimate your total project costs. TIP: Remember to be realistic with what you want and choose items that fit within your budget. It is important to correctly finish the basement and not rush through these processes; otherwise, down the road, you could encounter problems that will be more costly to fix and repair. Prepare the Walls – You will want to have the walls waterproofed and sealed to keep water out. 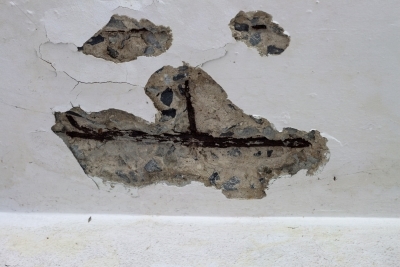 If there are small cracks in the walls, eventually water can get through these. The last thing you want to do is come home and head to your man cave and discover it is flooded. Prepare the Floors – Concrete floors also need to be waterproofed and sealed. Concrete will seep out moisture with changes in temperatures. If you are planning on installing laminate or another flooring, a special waterproofed underlayment must be installed prior to the actual flooring. 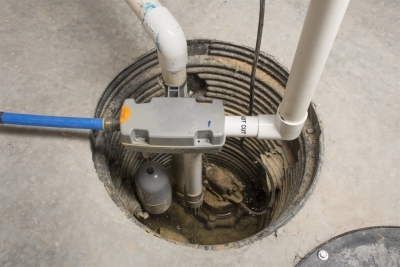 Get a Sump Pump Installed – If water or moisture are existing problems in your basement, you may need to get a sump pump installed as part of the waterproofing processes to help keep the basement dry. Prepare the Ceiling – Most basement ceilings have exposed support beams, wiring, and plumbing. You will probably want to hide this by installing some form of ceiling. You will also want to make sure the pipes are not leaking and may want to insulate the pipes, too. Remember to include easy access in your ceiling design, like openable sections in vital areas if you are not using drop tiles. Run Electrical and Internet Wiring – If you need to have electrical outlets added, wiring for overhead lighting, or want hard-wired access to your internet modem, you should do these things now. Have New Plumbing Installed – If you are adding a bathroom or kitchenette, you will want to have it plumbed and the toilet installed during this step of the conversion project. Have HVAC Vents Installed – If you do not have any air vents in the basement and want some, now is the time to get them installed. If you are installing a drop ceiling and have existing vents, these will need to be lowered. TIP: Consider hiring qualified contractors to perform some or all of the early conversion prep work so it is done correctly and satisfies current building code standards. 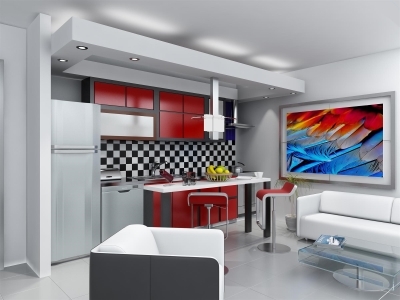 Install bathroom and kitchenette cabinets, countertop, sink, and faucet. Install any built-in components, like a built-in entertainment center. Stock your refrigerator or bar. Hang up posters, pictures, and light-up signs. Decorating Tips: You probably already have existing items, which may be packed away in the attic or garage, for decorating your man cave, like your collection of sports trophies from high school or college. Consider going through these to see what you already have and could use to help save some money. Thrift stores are also a great resource for finding different types of cheap man cave stuff and items at affordable prices. It is not uncommon to find items other guys have gotten rid because their significant others don’t want them in their homes. Build a new wall with a doorway and door. Install a sliding door track system and sliding doors. Build a new wall and use a pocket sliding door to save precious room space. Aside from maintaining your privacy, you could consider combining a kitchenette with a bar countertop and bar stools to save on space. Another great idea is a multi-purpose gaming table which is used to play poker, chess, checkers, and other such card games, and that can also be flipped over or covered up and used as a dining table. Regardless of the amount of space you have to design your ultimate man cave, just remember to have fun and create a space that reflects your needs, desires, and wants. If you cannot afford to do everything you want initially, that is okay, too, as you can always add new man cave decorations, elements, and items to your man cave later. For assistance with basement waterproofing or sump pump installation, please feel free to contact Budget Basement Waterproofing at (410) 609-1240 to request a free quote and consultation today!